Designer Alexandra Daisy Ginsberg and olfactory artist Sissel Tolaas’ smell series Resurrecting the Sublime, which recreates the aromas of extinct flowers through DNA drawn from specimens preserved at the Harvard University Herbaria. Tranceflora, a series of garments by Sputniko! and Masaya Kushino that probes the intersection of fashion and biotechnology. In collaboration with Japanese scientists and weavers from the 300-year-old Hosoo textile manufactory, the duo creates garments from transgenic glowing silk, made by injecting silkworm eggs with jellyfish or coral DNA. Terreform ONE’s Monarch Sanctuary, which will transform Cooper Hewitt’s conservatory into a haven for monarch butterflies. These insects, whose wild populations are being decimated by climate change, will be released periodically during the exhibition. 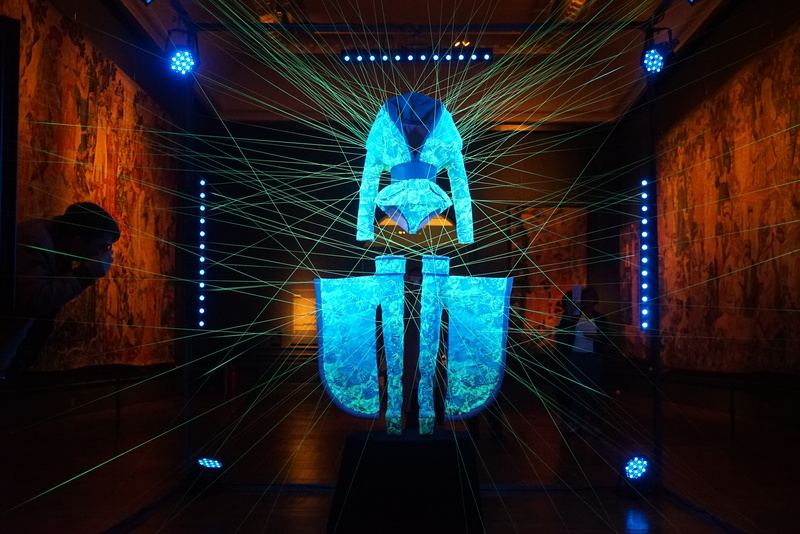 “Nature—Cooper Hewitt Design Triennial” is made possible in part by support from the August Heckscher Exhibition Fund, Esme Usdan Exhibition Endowment Fund and the New York State Council on the Arts with the support of Governor Andrew M. Cuomo and the New York State Legislature.